They call it the golden hour, but sometimes it’s pink. A couple of weeks ago and looked over to see this scene right as the sun was setting. Not very golden is it. In fact it only looks like this once in a blue moon. Pink clouds, golden hour, blue moon; got all that? This is the public boat dock at Holmes Beach in Manatee County Florida. I, and millions of others, love this section of Chicago. It’s an animated conversation between the past and present. This is the DuSable Bridge which leads to the Magnificent Mile in one direction and the “loop” section in the other. It’s framed by buildings built in a bygone era like the Wrigley and Tribune buildings. Call me crazy but this stone bridge pillar speaks to me about the character of this area, so much history and ambition. On this cold day, a few minutes after I took this picture, I was in a throng crossing a busy street along North Michigan Avenue. I overheard a conversation behind me as one person asked the other, “why is it so busy?”. The answer was simple and utterly complete, “this is Chicago”. For whatever reason the clouds like to sit just off shore just to tease me. They know I’m here for a sunset shot yet I don’t always get what I want. But like the song says, if you try some time, you get what you need. So I guess I needed the sunset to look crazy on fire like this with a layer of grey clouds on top. This is the remnants of a broken down pier at Coquina Beach in Manatee County Florida. And that bird? That’s his pier. The morning I took this it was cold, but not as cold as the last four days. Regardless the season, Chicago’s Morton Arboretum is an oasis of nature in the heart of a major metropolis and on this morning I saw fresh deer tracks and a silver fox as I walked through the park with only the sound of joggers as they navigated the icy trails. Solitude in the heart of the city. Surrounded by tall buildings on all sides is Vancouver’s Christ Church Cathedral. I’ve been meaning to go inside capture the interior one day, but this section caught my attention late one evening while walking back to my hotel. 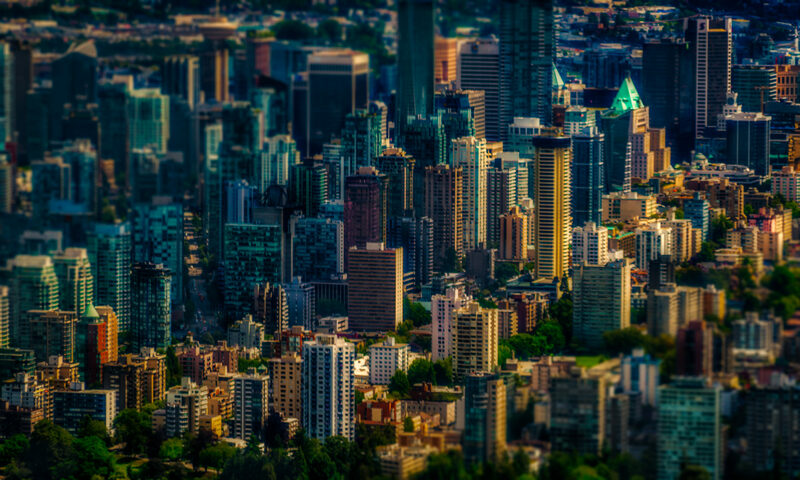 Vancouver is a harmonious mix of the old and new. Now, as it’s Sunday, I better get off to church. This is another picture of one of my favorite spots in Bradenton Florida, Robinson Preserve. The last sunset I shot from here I nearly got lost walking out at night, now I take my bike, like a man on a mission. Today is Saturday and the only mission I have is recover from the busy week. Have a wonderful weekend everybody. I cannot even imagine the amount of effort that goes into construction these elevated walkways through the mangroves here in Florida, and they’re all over the place. But then I suppose it’s no different than the construction of hiking trails through the rockies. The more I think about it the more I get bogged down in the details of the engineering. I suppose it’s a guy thing, that’s why I watch Discovery Channel shows on how things are built, I just have to know. In real life I spend more time in front of a monitor than I do on a sidewalk, but I just might need to know how to construct the Bridge over the River Kwai, …you never know. The colors we get at sunset this time of year in Manatee County, Florida are good and of course I’m trained to notice them. That’s a nice way of saying I’m obsessed with capturing them. Which is another way of saying I get a little crazy around sunset. Which is another way of saying that I get in a bad mood if we have a nice sunset and I don’t have my camera. Today, right before sunset, we headed out to a restaurant just as the sky decided to turn every color in the spectrum. Which is another way of saying I’m better off inside pretending the sunset doesn’t exist. I’m sure there is a name for my condition; obsessive compulsive sunset disorder?